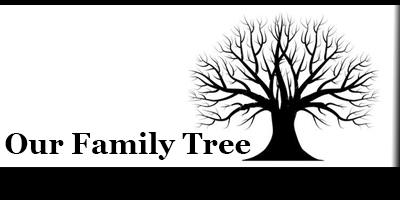 I originally intended this to be a much longer paper, but when crunched for time to finish an English project that I had no theme picked out for yet, I shortened my original project into what you see below. I will have to finish the longer, more detailed version at a later date. Dale Russell’s Dinosauroid lives! But it’s not what you might think, and definitely isn’t as Dr. Russell envisioned. Long have diapsids and synapsids broadly paralleled each other’s evolution. The icthyopterygians resembled the later cetaceans, for example, especially noticeable when comparing the ichthyosaurs themselves to today’s dolphins. The basal diapsid Coelosauravus, which somewhat superficially resembled modern lepidosaurs of the genus Draco, had gliding structures between its fore and hind limbs, as do today’s flying squirrels. The archosaurs (crocodiles, dinosaurs, and pterosaurs) and therapsids (mammals and their extinct relatives) seem to yield a particularly large number of instances of convergent evolution: Both modern dinosaurs (birds) and modern mammals are endothermic (warm-blooded), while the downy filaments covering the skin of pterosaurs and juvenile dinosaurs resemble(d) mammalian fur; the flight membranes of pterosaurs resemble similar structures found on chiropterans (bats); the sails on the backs of archosaurs like Spinosaurus resemble similar structures on early therapsids like Dimetrodon. Sauropods like Brontosaurus and Brachiosaurus remind of proboscids like elephants, mastodons and mammoths. Still more parallels can be found when comparing the dinosaurs with the borneotherians: Ceratopsians such as Styracosaurus, and, to a lesser extent, the famous Triceratops bear a superficial resemblance to the Rhinoceros. Pachycephalosaurs are popularly likened to big-horned sheep. Ankylosaurs like Euplocephalus and the eponymous Ankylosaurus resembled chlamyphorids like Doedicurus. Segnosaurs like Therizinosaurus resembled pilosa such as the giant ground sloth Megatherium. And paraves like the neornithes and laurasiatherians like the chiropterans both evolved powered flight. Within therapods and mammals there exist even further parallels between coelurosaurians like compsognathids and maniraptorans, and the euarchontoglires or supraprimates; one cannot help but see compsognathids as rodent-like, while maniraptorans such as paraves (tröodontids, dromaeosaurids, and neornithes or modern birds) strongly parallel the archonta (scandentia or treeshrews, dermoptera or colugos, and primates like lemurs, monkeys, and apes like gibbons and humans), particularly in the fact that both groups had arboreal origins. And this brings us to the dinosauroid. Canadian geologist and paleontologist Dr. Dale Alan Russel, Ph.D. (born 27 December 1937), one of the first researchers to suggest an asteroid impact or other extraterrestrial cause for the extinction of the non-avian dinosaurs, first came up with his “Dinosauroid” (Tröodon sapiens) in 1982 while working as curator of the National Museum of Ottawa, after noticing a steady increase in dinosaurian encephalization quotient (brain size in proportion to body size) among the dinosaurs throughout their evolutionary history, with tröodontids like Tröodon inequalis (then called Stenonychosaurus inequalis, and sometimes now lumped into the species Tröodon formosus) possessing an EQ six times greater than in other non-avian dinosaurs, as well as a host of other human-like or at least primate-like traits, including large eyes possibly indicative of nocturnality (like most primates), binocular vision, and semi-manipulative digits capable of grasping objects. Examination of dental serrations has even yielded indications of omnivory (Holtz et al. 159-166), another characteristic trait of humans and their fellow primates. Extrapolating what might have happened if the Cretaceous-Paleogene extinction event, which according to Russell had an extraterrestrial cause and was therefore not a result of any inherent dinosaurian inferiority, had never occurred and the non-avian dinosaurs had continued to thrive until the present day, Russell & Séguin suggested that descendants of Stenonychosaurus (Tröodon) might have eventually evolved large brains, supported consequently by a vertical spinal column attaching at the base of its skull, human-like hands and legs, a broad pelvis for bearing live young, and a complex language sounding like a birdsong. In “Dinosauroids revisited”, Darren Naish, supplementing his words with citations from Gregory Paul and Thomas Holtz, criticized the dinosauroid as being overly anthropopmorphic, stating that there’s no particular reason to expect that a large-brained, intelligent theropod dinosaur would adopt a hominid-like (or “humanoid”, as they say in science fiction) body plan; that any such creature would instead retain a more classic therapod appearance, with horizontal rather than vertical posture and a long tail, and would probably manipulate objects with its feet and snout like a bird rather than with human-like hands. 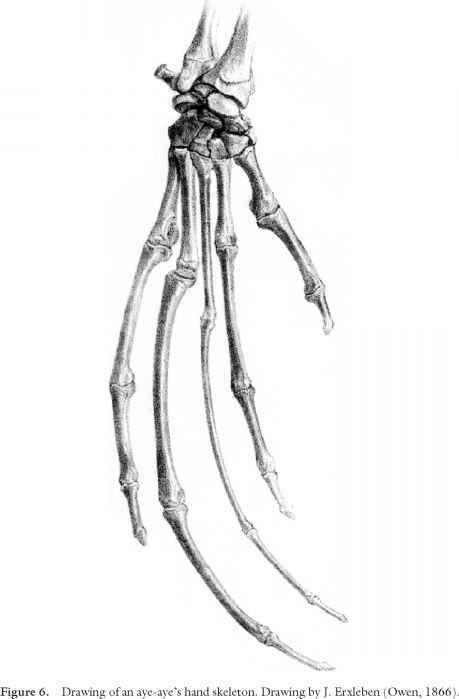 As it turns out, Naish was partially correct, a fact he keys into in his blog by using ground hornbills as an example of “avian pseudo-hominids”: Real-life dinosauroids, and they most certainly do exist, do in fact have a reduced tail, called a pygostyle, and while their posture is horizontal, their spines attach at the base of their skull as Russel anticipated rather than at the back of the skull as with reptiles and most birds, and are descendant not of the tröodontids, but of their closest relatives, the neornithes, though they look exceedingly little like Nemo Ramjet’s Avisapiens saurotheos. In Aesop’s famous fable, “The Crow and the Pitcher”, a thirsty crow drops pebbles into an under filled pitcher of water, raising the water level high enough for the bird to drink. 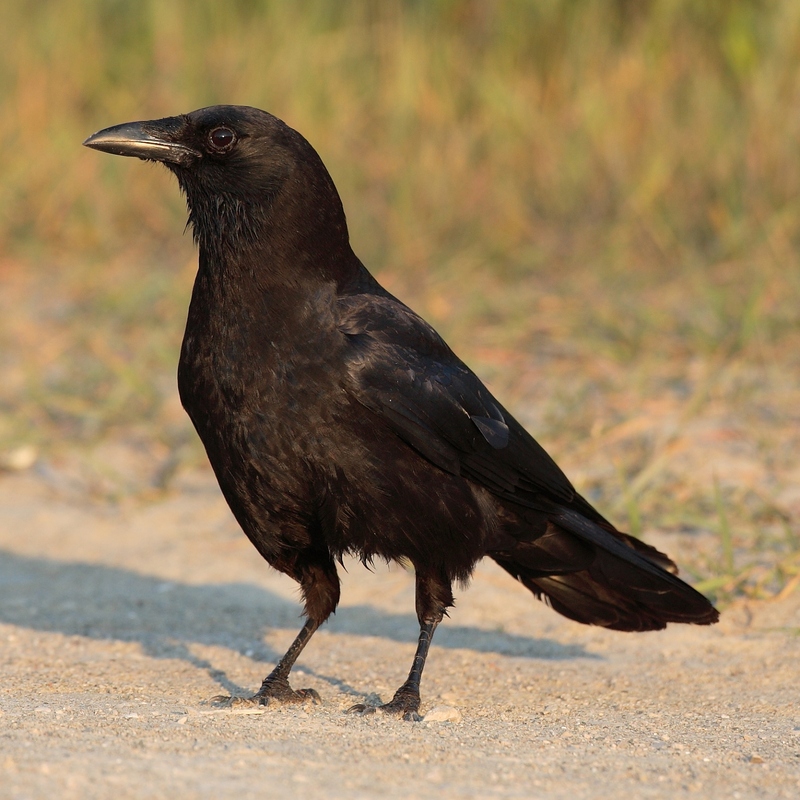 Recent scientific research has corroborated this tale, showing that, faced with a similar situation, crows will drop stones into a tube containing water, but not into a tube containing sand, and will choose to drop solid objects into the water rather than hollow ones (which demonstrates an understanding of buoyant objects being of limited value for water displacement), revealing that crows have a basic understanding of cause and effect that human children struggle with until age 5 (Castro & Wasserman, Scientific American). Crows have been proven to be able to understand symbolism (Castro & Wasserman, Scientific American), seem to have a complex language (Lorenz, Frings and Frings, Bannerman, Chamberlain and Cornwell, in Powell 738-742) and perform their own version of forensic anthropology, gathering around corpses of their fallen comrades and attempting to determine cause of death as a sort of risk-assessment, and possibly also as a form of mourning or funerary rite, though the latter is difficult to validate scientifically (Swift, Corvid Research). The New Caledonian Crow has even been observed using and in some cases manufacturing its own tools. 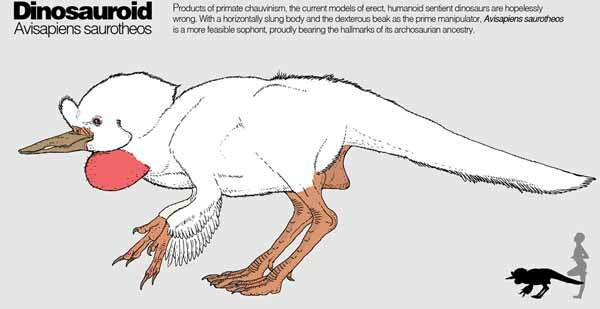 Birds are to dinosaurs as primates and chiropterans are to mammals, and Crows are to birds as humans are to primates; they are the dinosaurian equivalent to ourselves. This brings to mind the biblical phrase from 1 Corinthians 13:1, blepomen gar arti di esoptrou en ainigmati � “For now we see through a glass, darkly,” whenever we look upon our avian brethren, the Crows. ⚑ = You Are Here. Is Religion an Affront to Reason? Killer Instinct: Will Artificial Intelligence be the Death of Us?